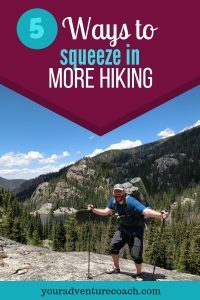 I’m excited to share some of my favorite hiking tips, for both beginners and seasoned hikers, to squeeze more hiking time into your life. Make the decision to make hiking a priority. 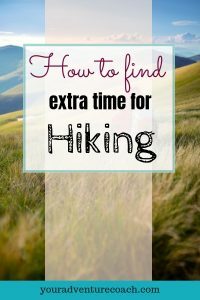 Think about it, right now, you’re probably thinking, “Well I don’t have time for hiking because I have to…. clean the house, do laundry, run errands, meet so and so, and on and on.” What if you have added, “I have to go hiking” onto that list. Make it a priority either just as a mental note, or add it to your physical to-do list to go hiking this week! Make a trade. I mean trading your time here. 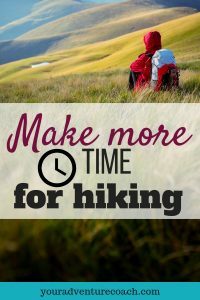 Is there something that you do every week, or semi-regularly, that once a month you could trade for hiking? Maybe you go out to lunch every single week after church, once a month or so, you could go hiking instead of going out to eat (just as an example.) 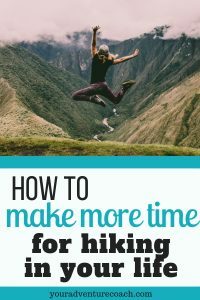 Or once a month, you could set an alarm and wake up early on your day off to go hiking, trading sleep for hiking. Not that you want to trade sleep for hiking all the time, but you get the idea. Split your daily or weekly to-do list into MUST DO’S and should do’s. Tasks under must do’s are things that absolutely must get done to keep you and your family alive and employed, everything else is a should do, or would be nice to do. After your must do tasks are finished – go for a hike! Even a short one, your should do’s can wait a few hours, I promise. Pair hiking with another activity or errand. Sometimes we can’t “justify” driving out and going for a hike to ourselves, so if we pair it with something else in a similar direction, then we are more likely to get out the door and go. It could be something as simple as stopping by your favorite coffee shop on the way to or from the trail. Or it could be totally practical to also stop by the dollar store on the way home and pick up a few things you need around the house. Leave one day a week totally unplanned. 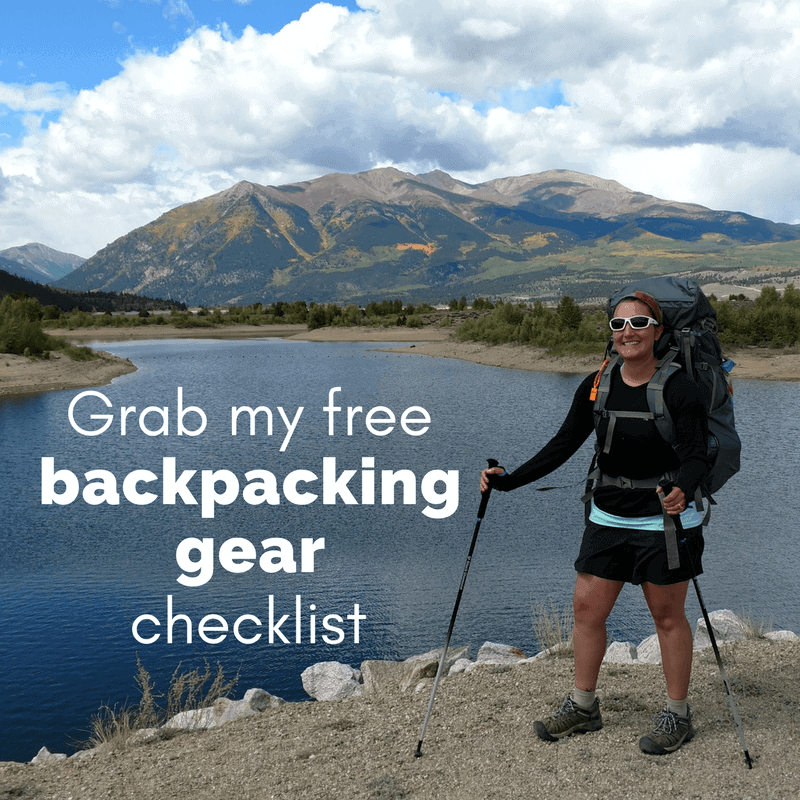 This is good practice anyway, hiking aside, so leave one day a week as a blank slate – maybe you’ll stay in your PJ’s all day and binge watch Netflix, maybe you’ll go explore a new town, or a new hiking trail, who knows?! Again, even if you go hiking on just one of your free days a month, that’s an extra day of hiking you squeezed in right there. My goal here is to show you, you don’t need to make crazy drastic changes to go hiking more often. Just small choices here and there really do add up and your body and mind will thank you for choosing to spend time, unplugged, in nature. 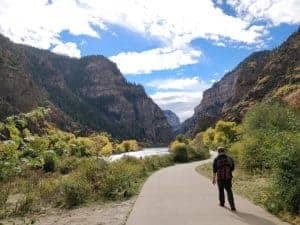 I was shocked to hear that Florence Williams, author of The Nature Fix, found out that we start reaping the health benefits of being out in nature after only 5 hours a month. 5 hours per month, people! Let me know your favorite time management hacks to make more time for the things you love in the comments below!